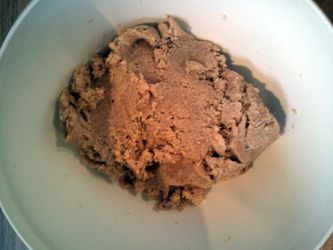 Peanut Butter Playdough recipe is a unique spin on the original playdough recipe. It works just as well as classic recipes and can be very fun to make, especially if you’re hungry! 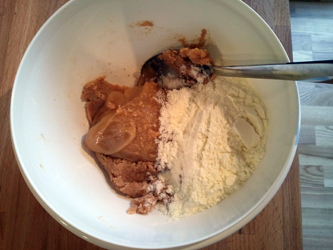 Mix together peanut butter and the sugar. Beat in the honey and milk powder. 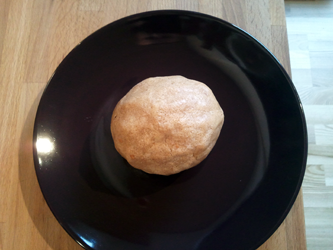 It’s finished when the mixture is dough-like. This recipe takes about 12 minutes. This is actually a great tasting playdough recipe and it is a nice change from the traditional playdough recipe. This is one of the more “spectacular” playdough recipes, since the ingredients aren’t what you usually find in playdough. It sort of works though and you can even eat it. To begin with we need some ingredients. 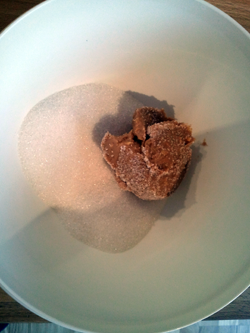 We have the peanut butter, sugar, honey and dry milk powder. 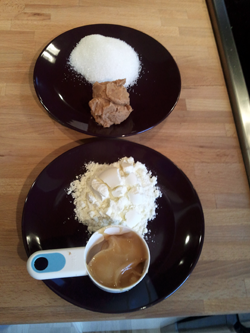 Add the honey and dry milk powder to the peanut and sugar mixture. 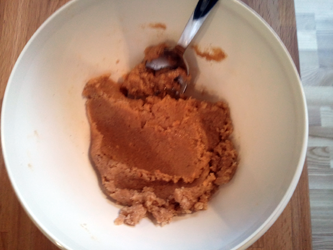 After some more mixing it should look like below and the peanut butter playdough is finished. Is it safe to eat this playdough? It is safe to eat this play dough. It is all ingredients you would normally eat anyways. It kind of tastes like a peanut butter cookie but without all the extra stuff. Lol i don’t know if i should eat this? Clear, inrfimatove, simple. Could I send you some e-hugs?